1) Explain two differences between micro and macroeconomics. 2) What is market economy? 3) If the price of a commodity rises from Rs.10 to Rs.15, its quantity demanded falls from 100units to 60 units. Calculate the price elasticity by expenditure method. 4) What are Giffen goods? 5) What is opportunity cost? 6) “Iso-quants never intersect each other,” Prove it. 7) What is Engel Curve? 8) What is price discrimination? 9) Define minimum wage rate. 10) What do you understand by contract rent? 11) Economics is the study of the optimum utilization of the scarce resources” .Discuss. a) Compute the point elasticity of demand at Rs.30. b) Complete the Arc elasticity for the price decrease from Rs.30 to Rs.20. 13) With the help of Indifference curve, show how price effect is broken up into and substitution efect and income effect for inferior goods. 14) What is return to scale? State and explain the law of returns to scale. What is fixed cost? 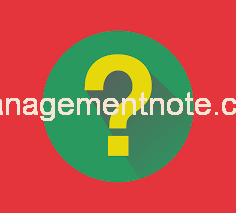 Find the total cost, Average cost, Average variable cost and Marginal cost for 100, 200, 300, 400 and 500 units of output. At what quantity is average cost at its minimum. 16) What are the major features of Monopoly market? Explain how price and output are determined under Monopoly Market Structure. 17) What is brain drain? Discuss about the major causes and consequences of brain drain in the countries like Nepal. It is often asserted that OPEC was able to sharply increase petroleum price and profits for its member by restricting supply and behaving as a cartel. Twelve are presently members of OPEC, Algeria, Gabon, Indonesia, Iran, Iraq, Kuwait, Libya, Nigeria, Qatar, Saudi Arab, The Arab Emirates and Venezuela (Ecuador, the thirteenth member, withdrew in November 1992).As a result of supply shock during the Arab israel war in the fall of 1973 and the lranian revolution during 1979 to 1980, OPEC was able increase the price of petroleum from $2.50 per barrel in 1973 to over $40 per barrel in 1980. This, however, stimulate conservation indeveloped nations (by lowering thermostats, switching to small fuel-efficient auto-mobiles, etc,) expanded exploration and production (by the United Kingdom and Norway in the North Sea, by the United States in Alaska, and by Mexico in newly discovered fields, and the switching to other energy sources (such as coal). As a result, OPEC’s share of worldwide production fell from 55 percent in 1974 to less than 40 percent in 1994. Although OPEC meets regularly for the purpose of setting petroleum prices and quotas, it has seldom succeeded in its effort under the conditions of excess supplies that have prevailed since 1980. In general, the densely populated and low-petroleum-reserve countries such as Indonesia,Nigeria and Iran want to change high prices in order to maximize short-run profits, while the sparsely populated and large-reserve countries, such as Saudi Arabia and Kuwait, prefer lower prices to the $15 to $20 range and widespread cheating by its members during the 1980s.Thus, while OPEC is often given as the best example of a sometimes-successful Cartel, many economists are now convinced that OPEC was given credit for the sharp increase in petroleum prices, but when excess supplies arose, OPEC was unable to prevent almost equally sharp price declines. Even the mini-oil shock resulting from Saddam Husain’s invasion of Kuwait in August 1990 was reversed with the quick victory in the Persian Gulf War so that by the middle of 1991 oil prices were as low as before the invasion of Kuwait, and at the end of 1994 the price of oil was S18 a barrel. a) ‘OPEC is the group of petroleum dealers not the regional organization between nations.” Justify. b) Explain the process of oil price fluctuations in the world. c) Define oligopoly with its features. d) How market mechanisms solve the problem of shortage of petroleum in Nepal?